Smith & Howard is excited to announce the promotion of Dan Smith to Chief Operating Officer. Smith & Howard recently announced that Dan Smith has been named Chief Operating Officer. Dan, a seasoned business and finance executive, will lead Smith & Howard’s operations and finance departments. Since joining Smith & Howard in 2016 as Director of Finance, Dan has increased operational efficiencies that improve quality and reduce time and cost. 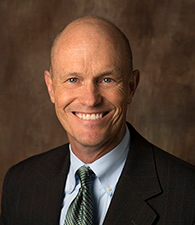 “We are excited to have Dan assume the role of Chief Operating Officer at Smith & Howard. He is making rapid and important strides in making the firm more efficient, focused and strategic in its finance and operational approaches. As important, he is a great fit in Smith & Howard’s culture and is having a positive impact on our entire team,” said John Lucht, Managing Partner of Smith & Howard. Dan’s career has spanned banking, Big 4 accounting firm consulting and another mid-size accounting firm. Most recently, he served as Operations Manager for a national Registered Investment Advisor. Dan is a graduate from the University of Georgia with a degree in Finance.